Marking the hives and frames with a registered brand is one way to recover stolen hives. 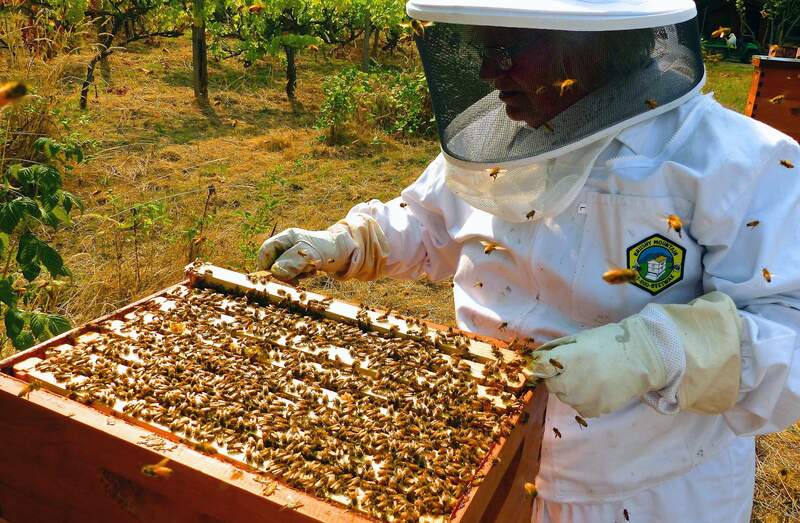 Opportunistic “bee rustlers” bolster their honeybee numbers with pilfered hives and frames. Bee hive burglaries are difficult to prevent but there are a number of ways to catch a thief. Bee rustlers are driving up the cost of one of nature’s sweetest enterprises: Honeybee hives valued at over $350 apiece are disappearing in large numbers. That figure doesn’t include rental fee losses of up to $200 per hive for bees transported to pollinate citrus in Florida, blueberries in Maine, cranberries in Wisconsin, vegetables in Texas, sunflowers in the Dakotas and almond orchards during their six- to eight-week California bloom period in January and February. There simply aren’t enough honeybees in those areas to handle the pollinating load. Even with thousands of commercial hives being shipped around the country, honeybee diseases and complications from theft have created too little supply of the bees and too much demand. California is prime ground for bee thefts since two-thirds of all beehives in the U.S. are used to help pollinate its million-acre-plus almond production. Two beehives per acre are needed for pollination. “It’s the easiest way for someone to steal in large-scale values that I know of,” said Darren Cox, a commercial beekeeper from Utah who recently lost 80 hives rented to a California almond grower. Most bee yards are isolated and in remote areas, said Joy Pendell, media director for the California State Beekeepers Association. “Anyone with a forklift and truck can easily pick up the hives and drive to a new location,” she said. “Bees are typically transported at night since bees do not fly at night or in cooler weather” (below 55 degrees Fahrenheit), she said. Losses are difficult to determine nationwide, but 1,654 beehives were reported stolen by California almond growers between Jan. 1 and Feb. 28 this year, the peak period there for almond trees to bloom, Parnell said.